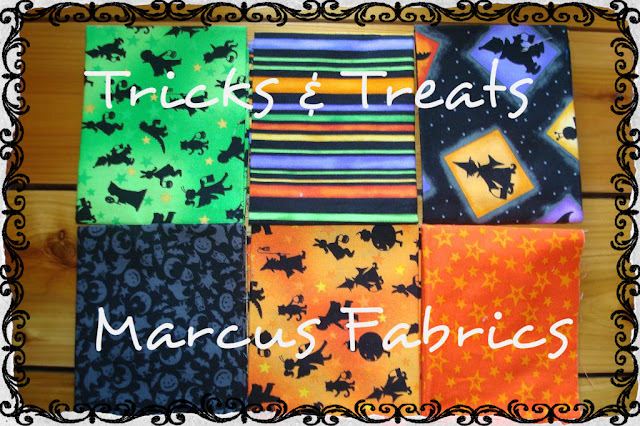 Here is some fabric I won a while back during one of the blog hops. I won it from Sew Allegorical and thought it would come in very handy for my Halloween See Swap Block. I have used the orange stars in it and the rest may have to wait for another project. I love the colors in this collection and am so thankful to Al for sharing it with me. She is fabric-oholic and I appreciate her sharing some of her Halloween stash with me. Aren't the pears so cute? Oh, who couldn't be happy with either of those! And you have both! 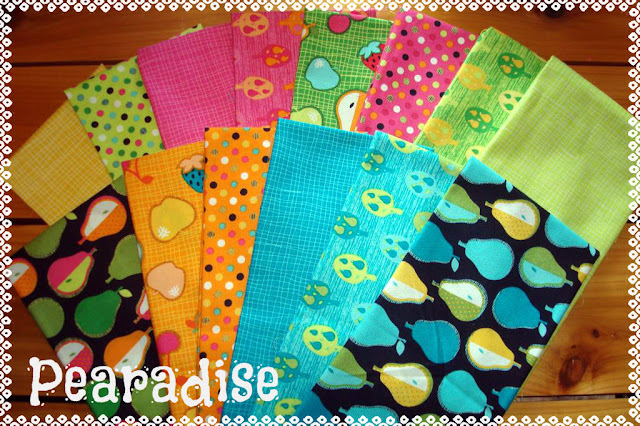 I saw your comment on Happy Quilting about the shop and $19/yd. fabric. I couldn't find that fabric. Maybe there was a price mistake? It says $9.50 a yard when I look at yardage.